Amarjeet started her training contract with Shelter Children’s Legal Service in January 2016. She is a graduate of Nottingham Trent University and completed her Legal Practice Course at BPP School of Law in London. 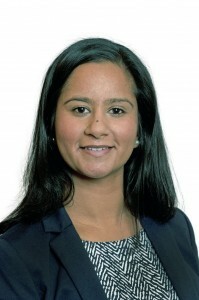 Amarjeet has a longstanding commitment to social welfare law, particularly in the housing sector, having started her career at Derbyshire Housing Aid before moving to Shelter in 2010. As an Adviser and latterly a Senior Adviser, she has worked on a range of projects undertaken by Shelter across London to assist those struggling with bad housing or homelessness. Outside of work, she enjoys travelling and can often be found practising her baking. I will develop a free mobile phone App for my project. The App will provide an easy way for 16-21 year olds to access legal advice on housing issues. leaving home and finding a place to live. In each case the App will provide guidance on an individual’s legal rights and remedies in each area. paying the rent on time, and what to do if they fall behind, etc. I will also provide useful contacts if the young person requires further telephone or face to face advice. Creating a mobile phone App will make legal advice more accessible to young people and is another way to reach out to those who are not able to access face to face advice. It is also a more private way to view advice and can be used anywhere. I intend that once the mobile phone App has been downloaded, an individual will be able to view the advice offline; avoiding the cost of using mobile data.